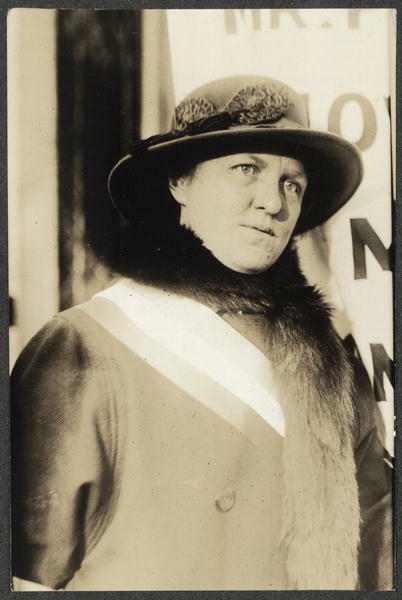 An indefatigable and long-term organizer and officer of the National Woman's Party, Elsie Hill, of Norwalk, Connecticut, was the daughter of Republican Congressman Ebenezer J. Hill, a ranking member of the House Ways and Means Committee. She cited the positive relationship of her parents as an early example of the happy coalition possible between men and women. A graduate of Vassar College, Hill taught French at a Washington, D.C., high school. 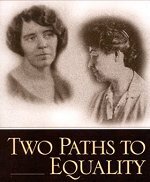 When Alice Paul and Lucy Burns became active in Washington, Hill was a leader of the D.C. Branch of the College Equal Suffrage League. She led a delegation from the League to meet with President Woodrow Wilson on the suffrage issue shortly after the Congressional Committee of NAWSA staged its huge suffrage parade in the nation's capital in March 1913. 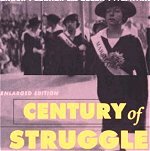 Hill joined the Congressional Union of Woman Suffrage's executive committee in 1914-15 and headed CU organizing efforts to establish branches in South Carolina and Virginia. Paul dispatched Hill, along with other reliable organizers with exceptional managerial and speaking skills and a knack for effective fund-raising, on public tours in the fall of 1916, when the NWP targeted congressional campaigns on the issue of female suffrage. In August 1918 Hill was arrested for speaking at a Lafayette Square meeting and served a 15-day sentence. 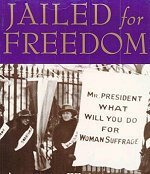 She was arrested in Boston in February 1919, where she was picketing Woodrow Wilson upon his return from Europeand jailed again. Hill chaired the 1921 convention in Washington, D.C., at which the NWP regrouped after the suffrage victory and decided on a course of international action and a focus on equal rights. She became the new chairman of the NWP National Council (serving until 1925) and, in 1924, was a member of the NWP deputation that visited President Calvin Coolidge to lobby on behalf of the Equal Rights Amendment. 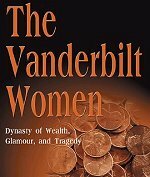 Her activism spanned the time period from the inception of the CU through the ERA era. She and Paul remained lifelong friends and shared a house in their later years. Hill's sister, Helena Hill Weed, was also active in the suffrage movement. Photograph published in The Suffragist, 4, no. 31 (July 29, 1916): 5. 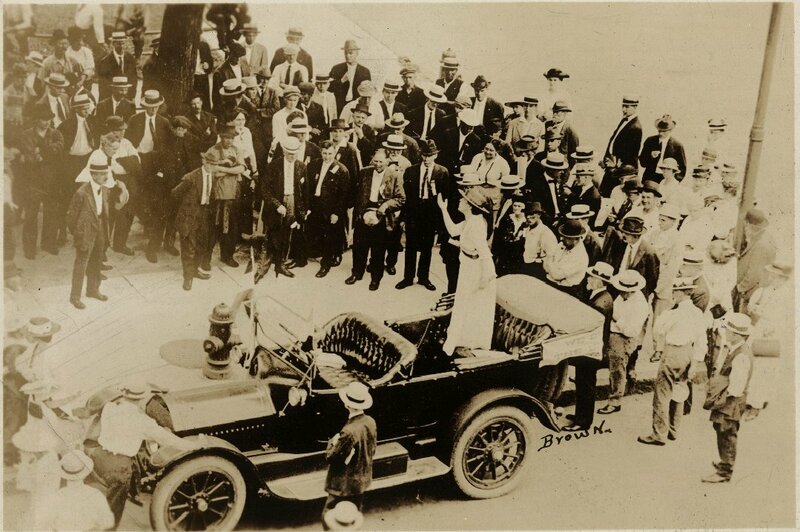 Captioned "Miss Elsie Hill Addressing a Street Meeting in St. Paul." According to the accompanying story (" Prohibition Party Adopts Iron-Clad Suffrage Plank") Elsie Hill represented the Congressional Union for Woman Suffrage/Woman's Party at a Prohibition Party convention in St. Paul, July 19 and 20, 1916. The Prohibition Party endorsed as part of their plank the text of the Susan B. Anthony amendment (granting the right to vote to women).